OLYMPIQUE DE MARSEILLE is one of the most renowned football clubs in the world, with great support from some of the most passionate fans. Through its 118-year-old heritage, OLYMPIQUE DE MARSEILLE has won 32 major trophies,including one UEFA Champions LeagueTM title in 1993. The new owner aims to make the club the future champion of French and European competitions. OLYMPIQUE DE MARSEILLE joins an impressive roster of PUMA Football clubs, including Borussia Dortmund, Arsenal FC and reigning English champions Leicester City FC. 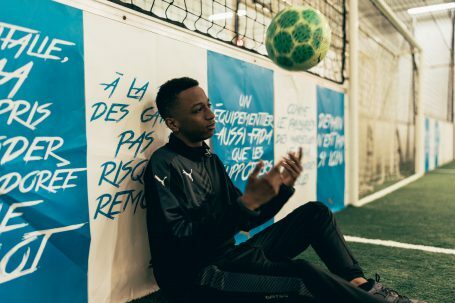 The Football Associations of Italy, Switzerland, Austria and Czech Republic are also part of PUMA’s portfolio, as well as some of the world’s best players such as Antoine Griezmann, Olivier Giroud, Sergio ‘Kun’ Agüero, Cesc Fàbregas, Mario Balotelli, Hector Bellerin, Marco Reus, Julian Weigl and Yaya Touré amongst others.